I had a few gift cards from JCPenney that I wanted to use up. So, I took my daughter to the mall for some summer shopping. 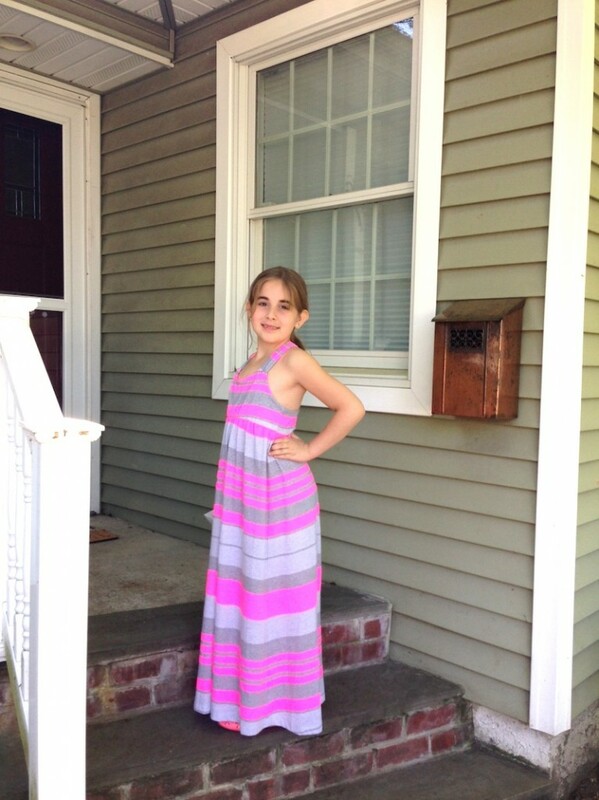 I cannot tell you how excited I was to find so many adorable maxi dresses for her age group. OBSESSED! I mean… how cute is this ‘Total Girl’ pink striped number? I tried to find it online to link to and was unsuccessful. 🙁 Here are the dresses that are online. I also bought this one. Love and love! Don’t you just love this JcPenney maxi dress?